Beto began as a fitness instructor in his home city of Cali, Colombia. One day he arrived at class and realized he had left his regular aerobics music at home. Beto looked in his bag, took out some salsa and merengue tapes, popped them into the sound system, and taught the first-ever Zumba® class. 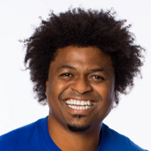 After a career as a trainer and choreographer in Colombia, Beto decided to make the big move to the United States. With only his moves and his passion, Beto sold all his belongings and moved to Miami in search of the American Dream. Originally from Mauritius, now lives in Ontario, Canada. 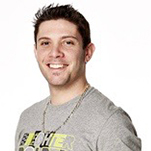 He is a Zumba® Education Specialist (ZES™). Ricardo started dancing at the age of 8. He has a dance background in jazz, ballet, tap dance, Indian dance, hip-hop, merengue, bachata and salsa. He has been performing in various countries for over 14 years. 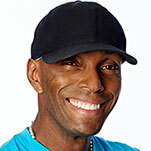 In March 2008, he became a licensed Zumba® Instructor and now teaches Zumba® classes all over the GTA. He became a CanFitPro Certified group Fitness Instructor in June, 2009. 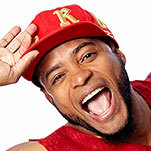 In 2010, he was selected to become a Zumba® Jammer. In May 2011, Ricardo became a ZES. 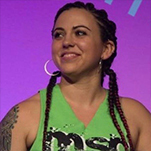 He has presented at numerous Zumba® Instructor Conventions and Conferences. He’s been featured on many ZIN™ Volumes including 41, 47, 48 and 51. 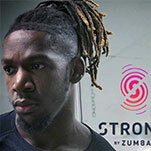 He was a featured dancer in the 2011 Zumbathon® event at Convention. He also appeared in the Zumba® Incredible Results DVD collection. Walter (a.k.a Wally, the king of salsa and merengue!) 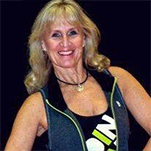 has been an aerobics instructor for more than 20 years and a Zumba® Instructor for almost 10 years. 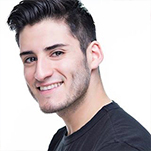 He grew up with Beto, creator of the Zumba® program, and worked as a choreographer for many Colombian artists and bands. He has also been a professional dancer, actor and model. Walter was featured in the 2010 and 2011 Zumba® Instructor Convention Fitness-Concert™ events, in the 2011 Zumba® Instructor Convention Flavors DVD and in the Exhilarate™ DVD collection. 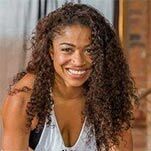 Catherine “Cat” Marte is a wife, mother, personal trainer, group fitness instructor and Zumba® Jammer from Oklahoma City, OK. She is a U.S. Army veteran who found her love for group fitness shortly after leaving the military. 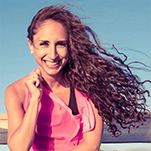 She always had a passion for dance and fitness, but found the perfect balance of the two with Zumba® Fitness. She has a BS in Kinesiology with a focus on Exercise/Fitness Management. She always seeks to further her education and knowledge in all things health and fitness. 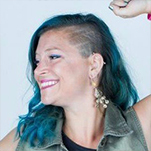 Catherine enjoys fusing her choreographies and classes with the musical styles and flavors of Africa and the Caribbean. 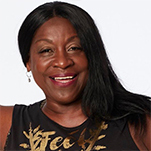 She has been blessed with the opportunity to be a presenter of Dancehall Mashup at the 2013, 2014, 2015, 2016 and 2017 ZIN™ Conventions and has also presented at many Zumba® Academies held worldwide. LaToya, known as just "Toya,” currently resides in Sacramento, California where she was born. 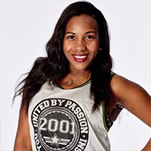 Toya was inspired to become a Zumba® Instructor by her mother Linda Taylor, an energetic and loving ZIN™ Member. 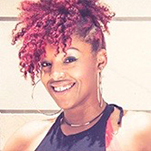 Toya presented Dancehall Mashup at the 2013 and 2014 ZIN™ Conventions in Orlando and at the 2013 and 2014 Zumba® Instructor Conference in Los Angeles, along with her Zumba® Jammer pal Catherine Chiemelu. Toya has always loved to dance, but it was in college, while attending the University of California - Los Angeles to obtain a degree in economics where she discovered her love and appreciation for the culture and styles of West African dance, Afro-Cuban dance, Caribbean dance, and Jamaican dancehall.